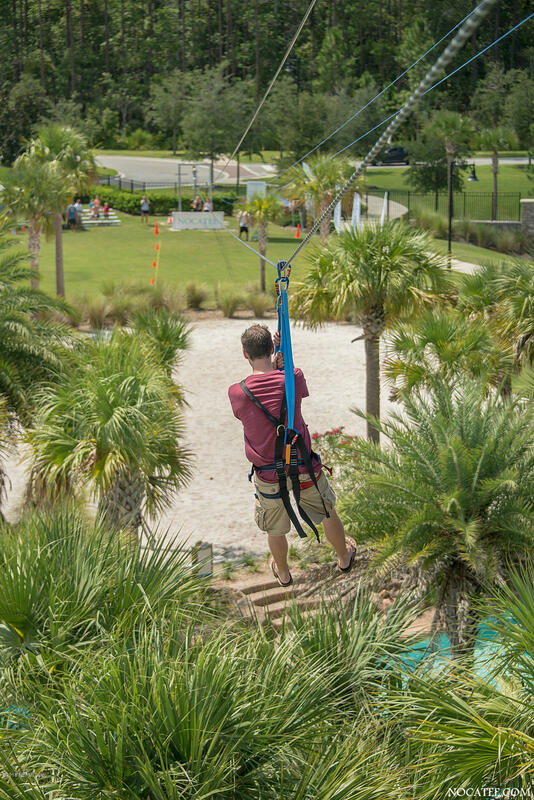 Sunday, July 8, 1:00 – 3:00 p.m. 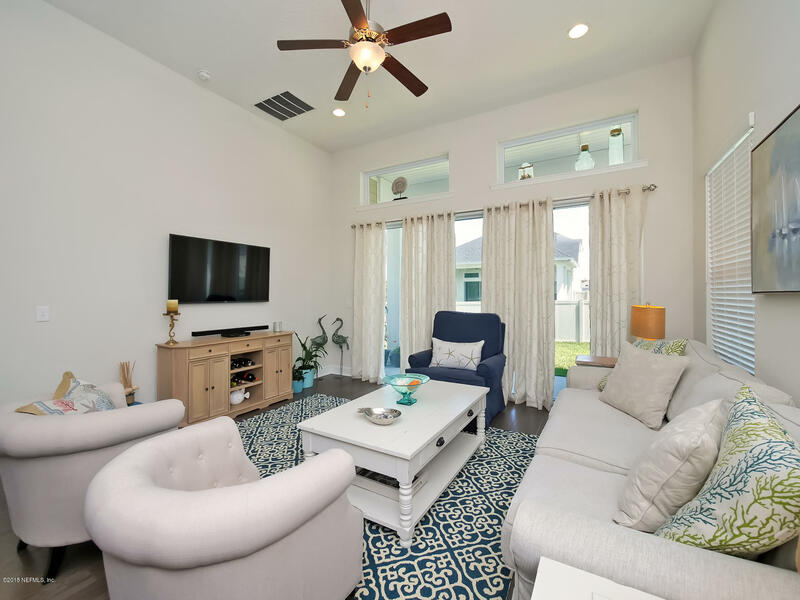 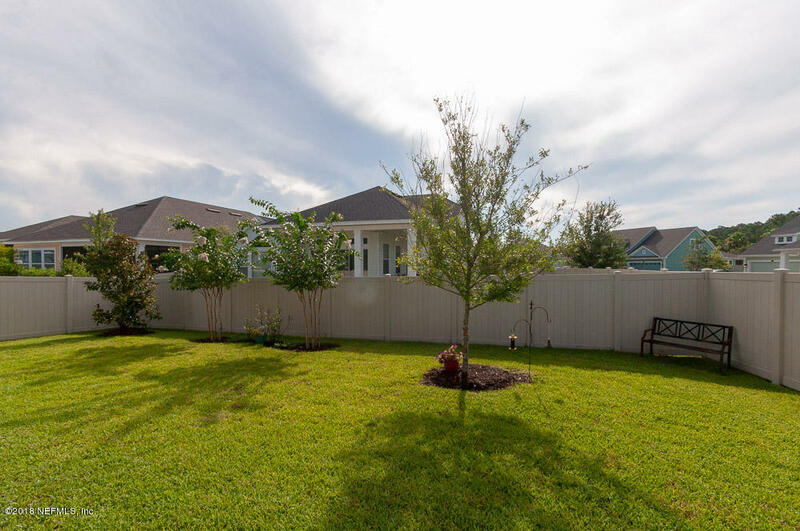 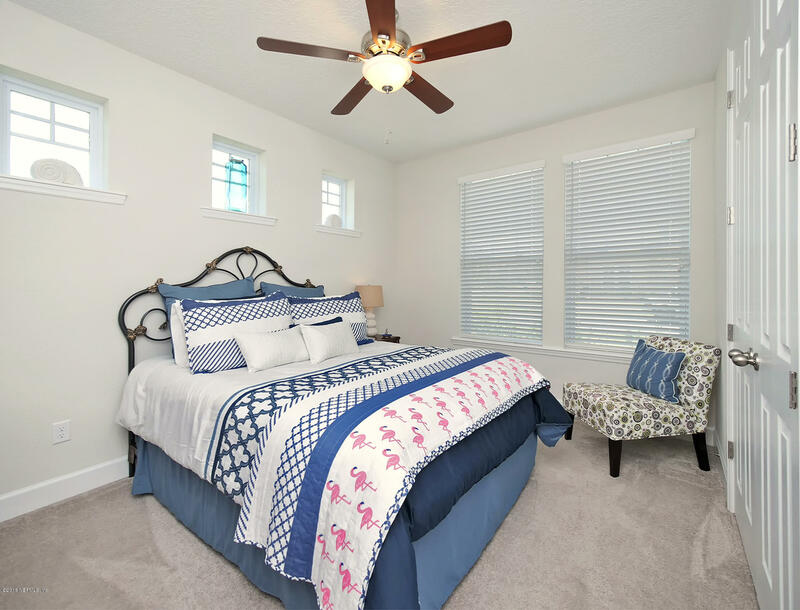 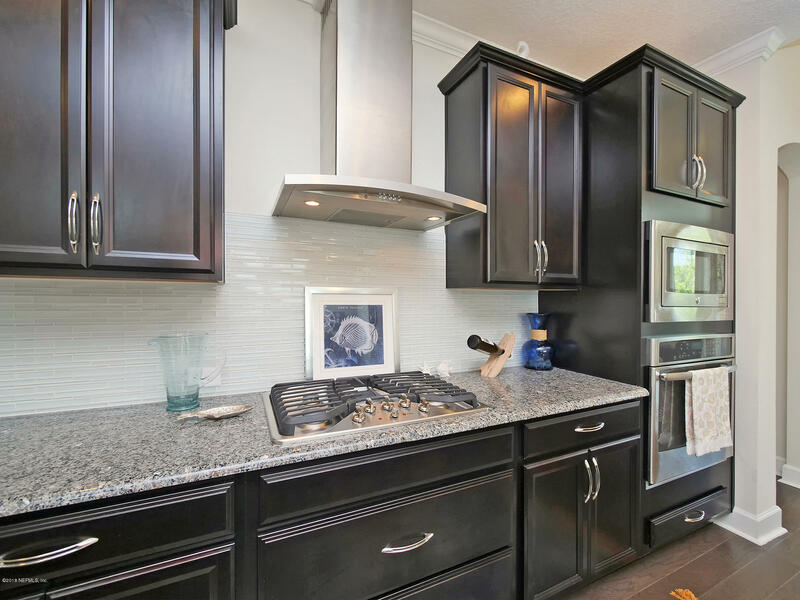 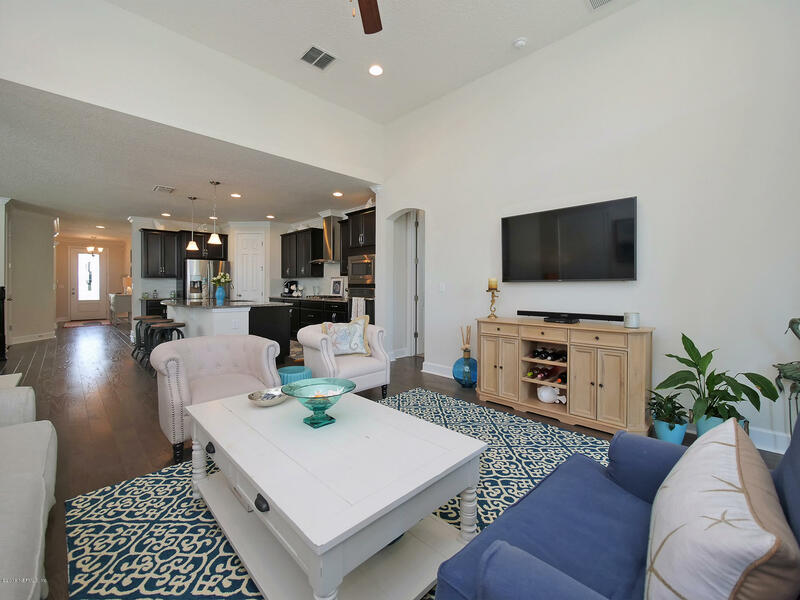 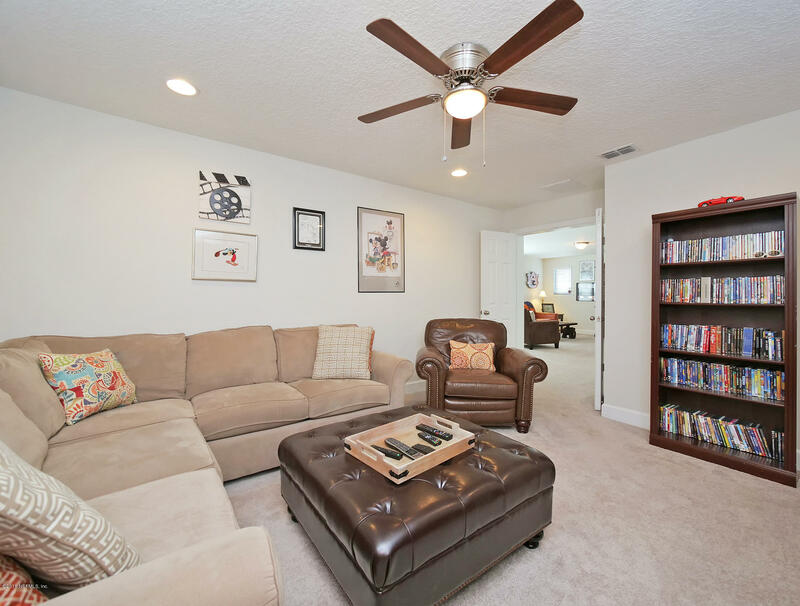 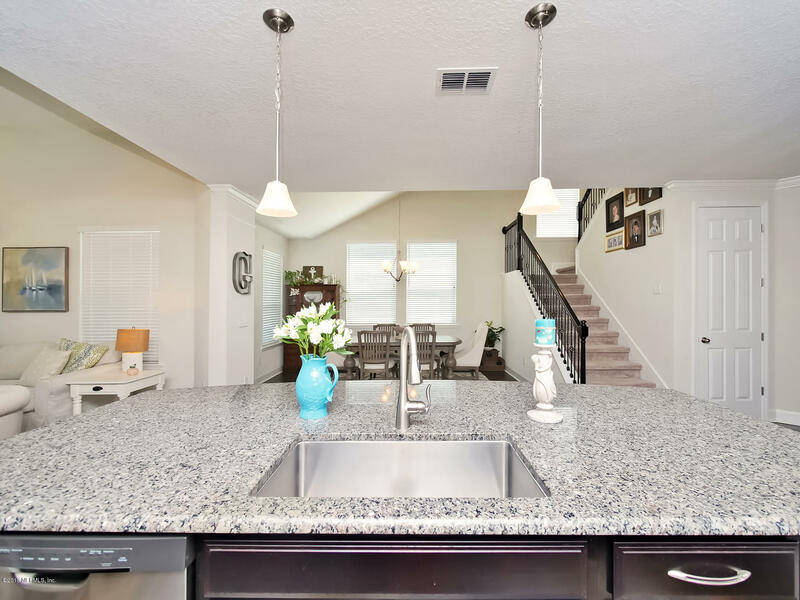 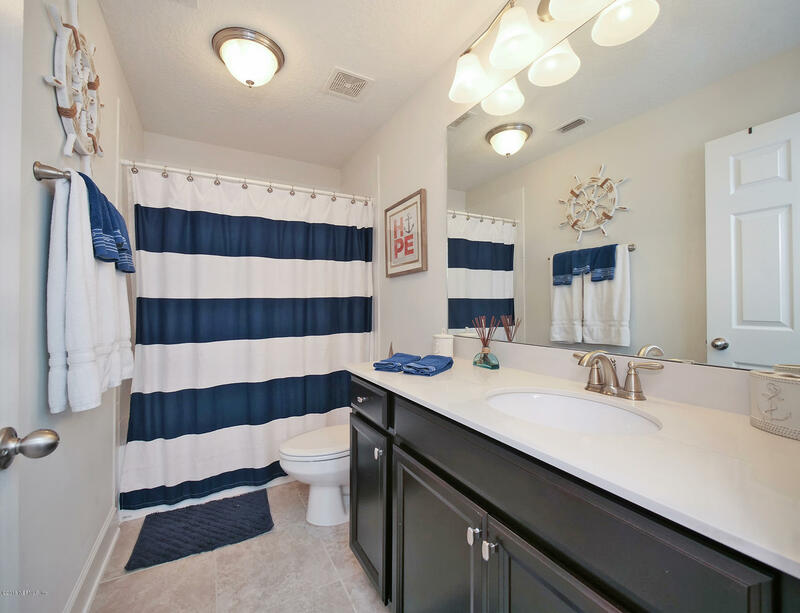 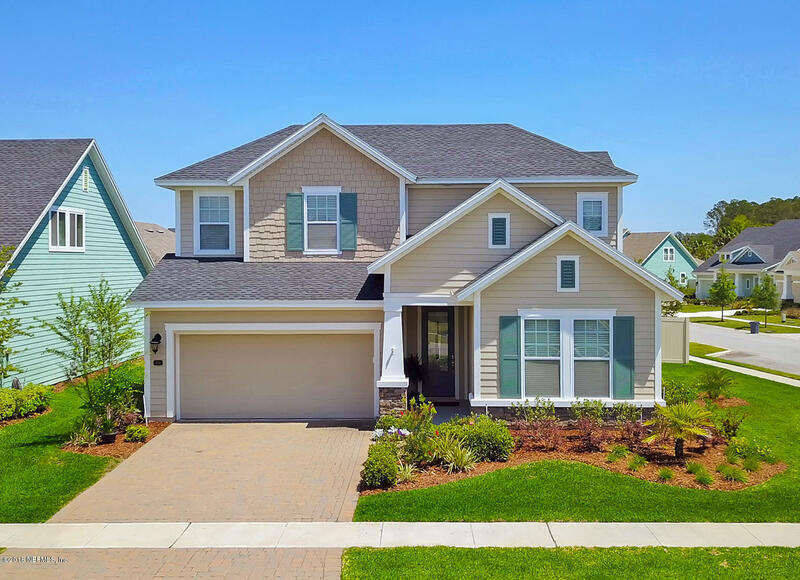 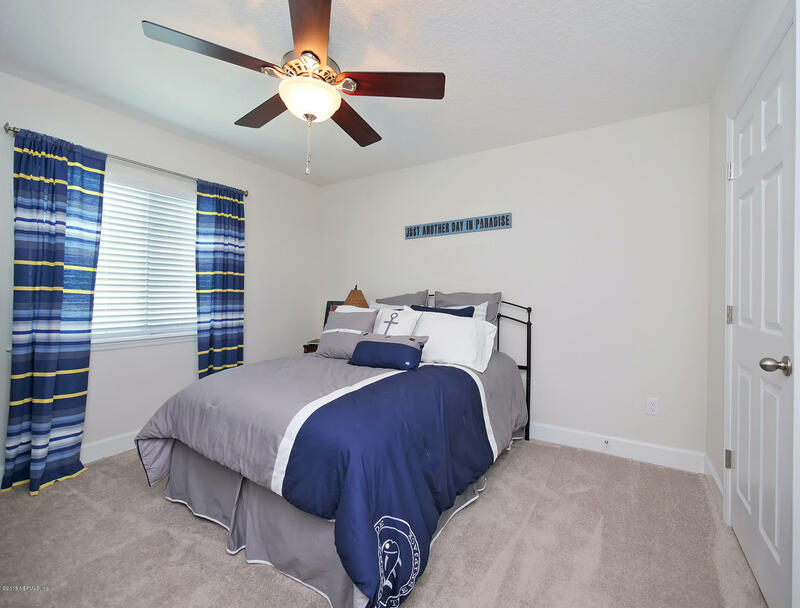 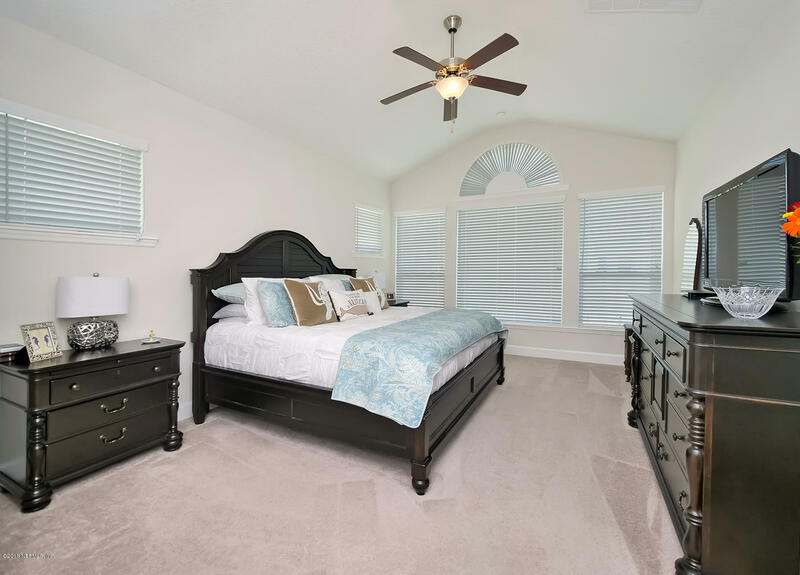 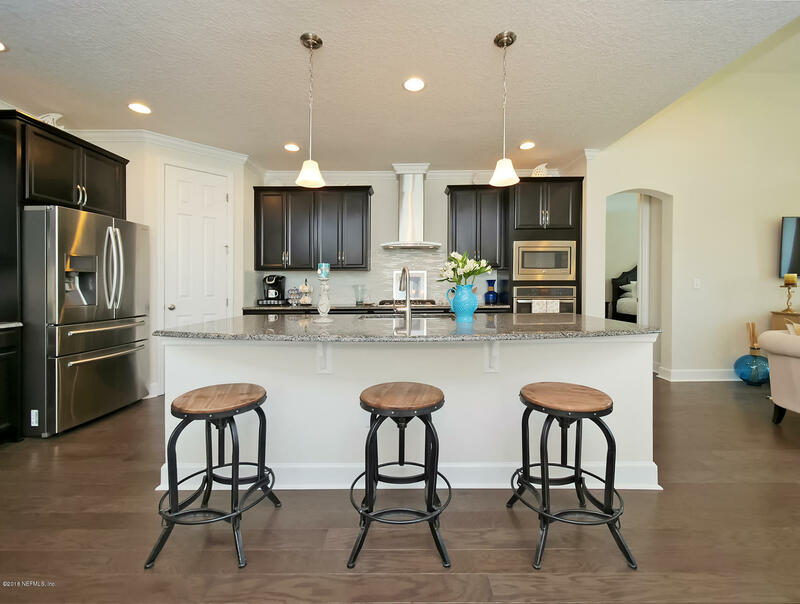 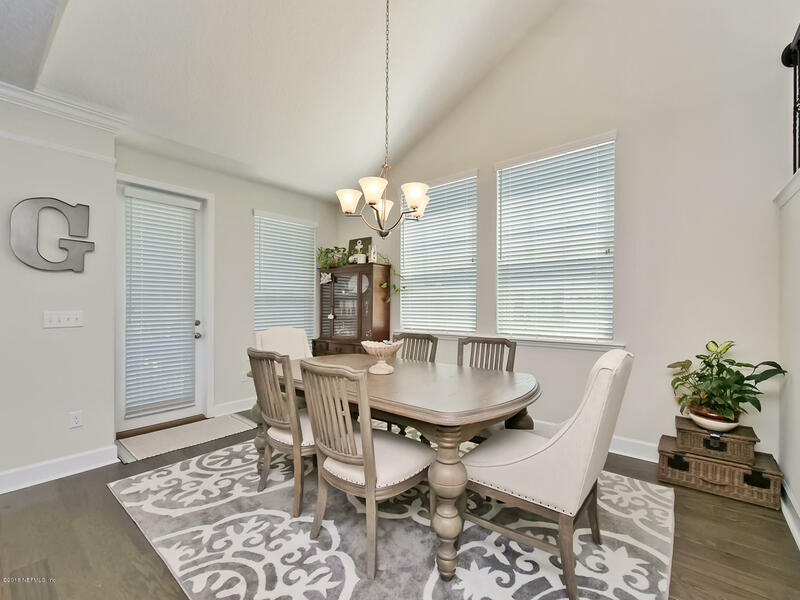 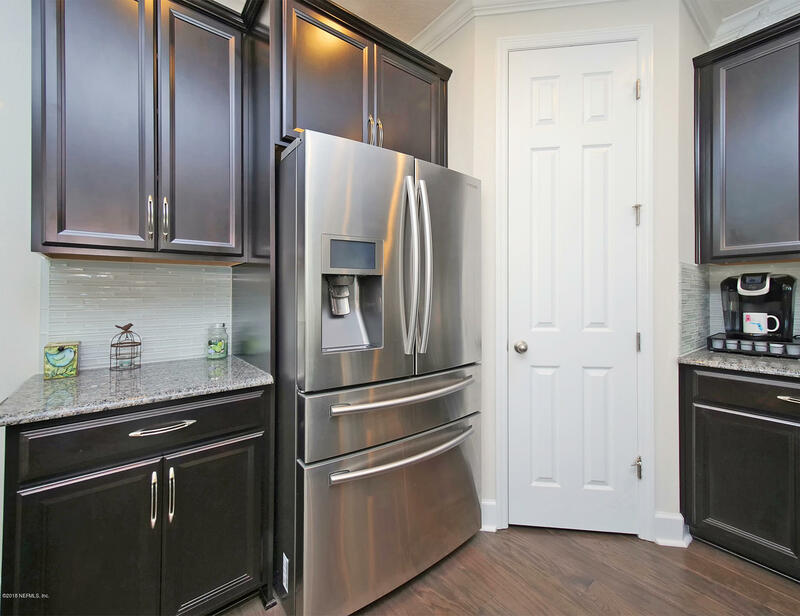 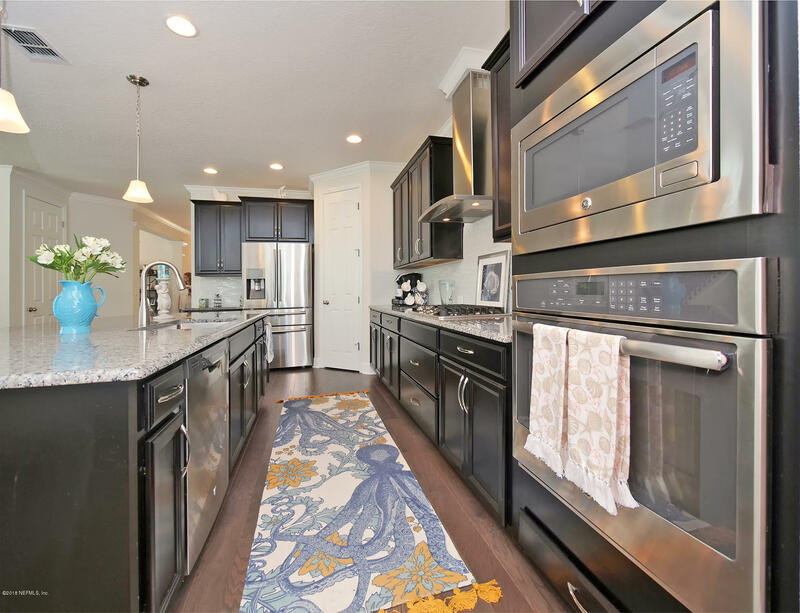 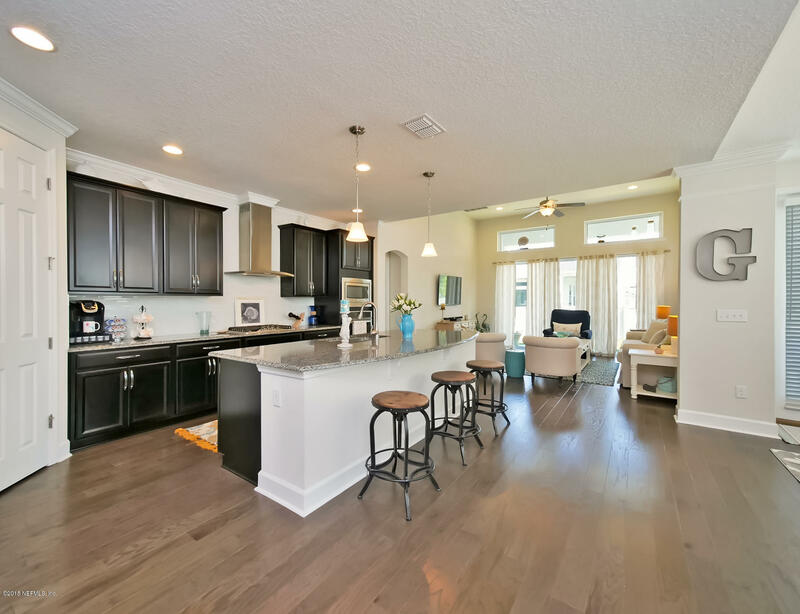 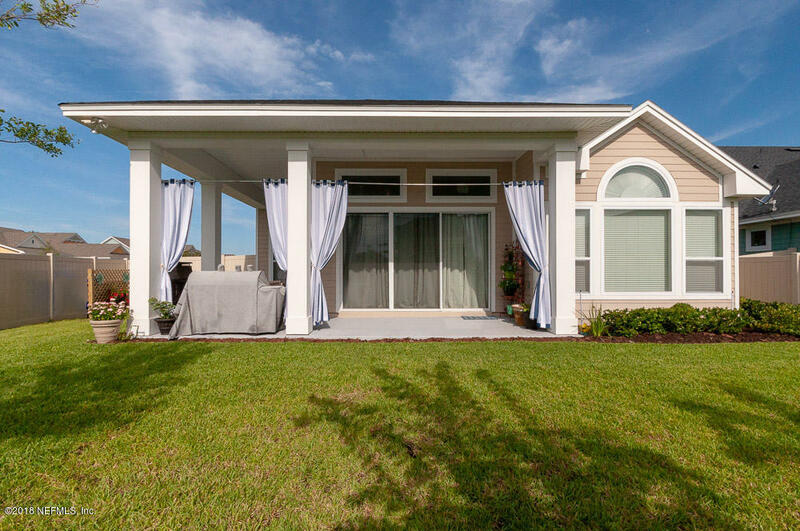 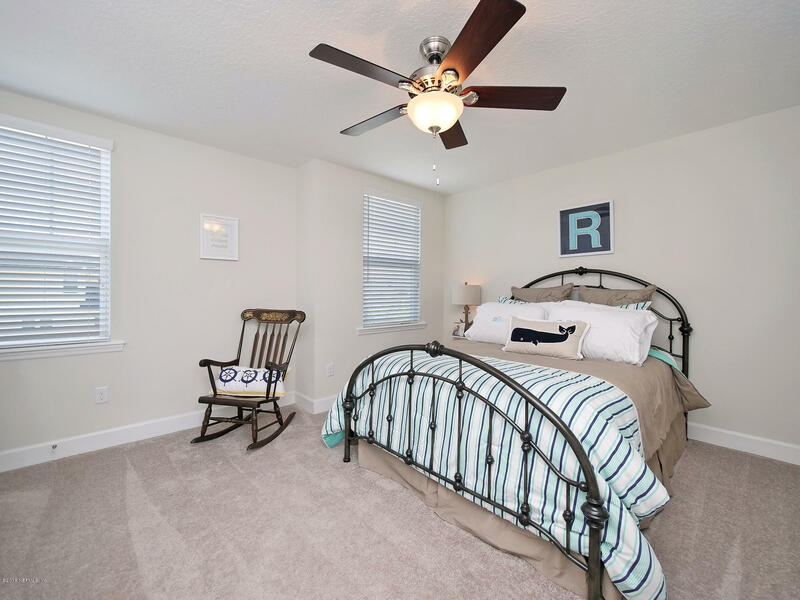 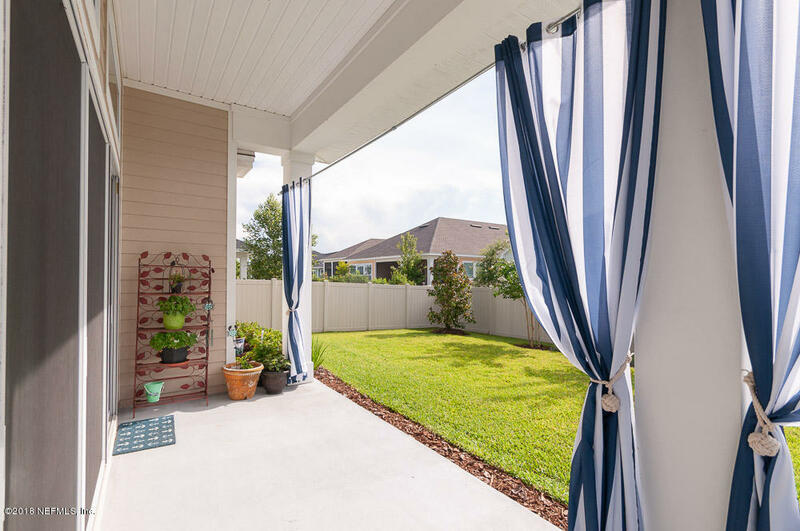 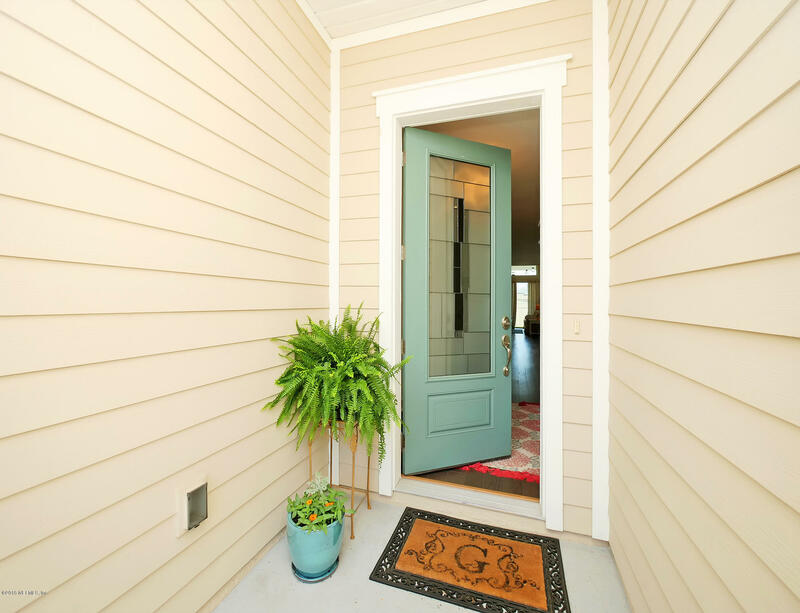 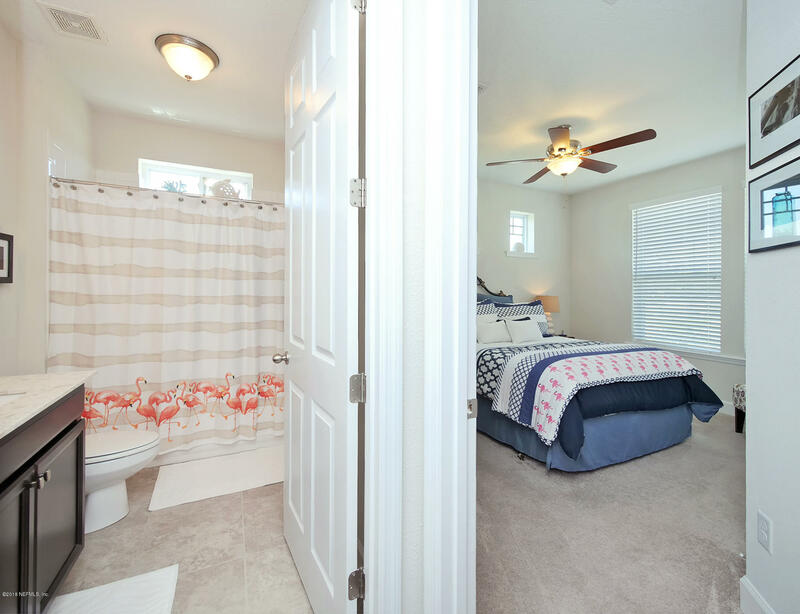 Spacious David Weekley Tradewinds plan delivers style & quality! 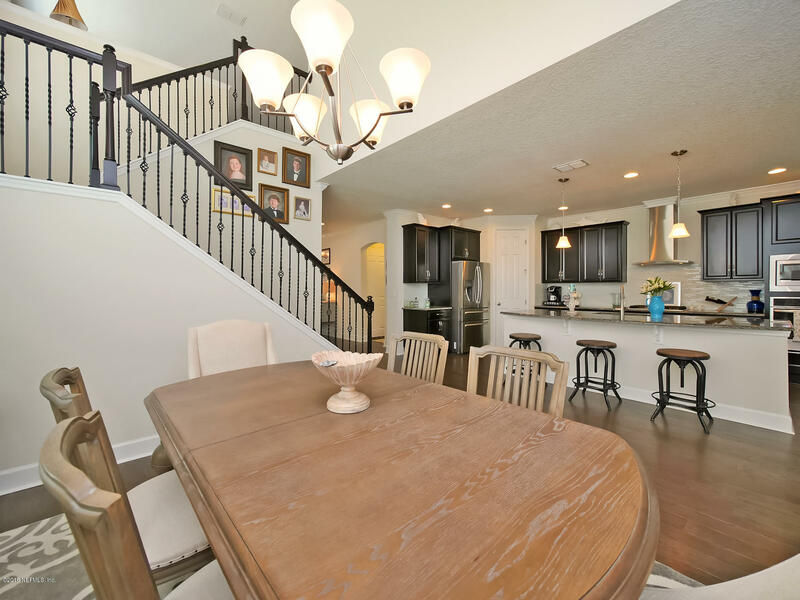 Natural light streams in the main living/dining areas thru extra windows & dramatic, tall ceilings. 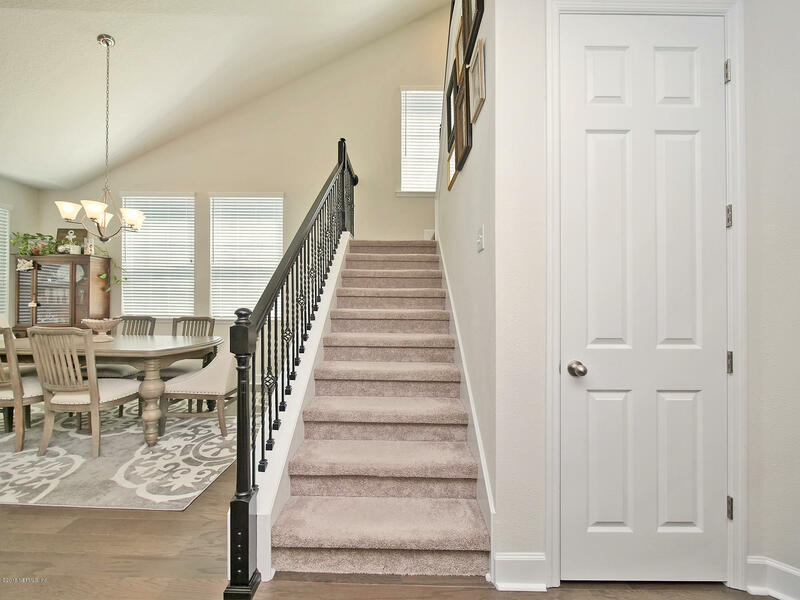 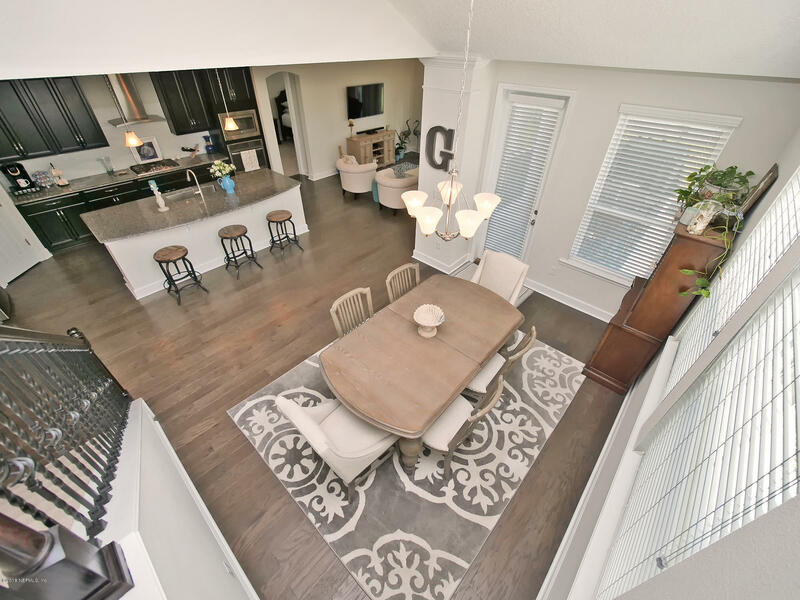 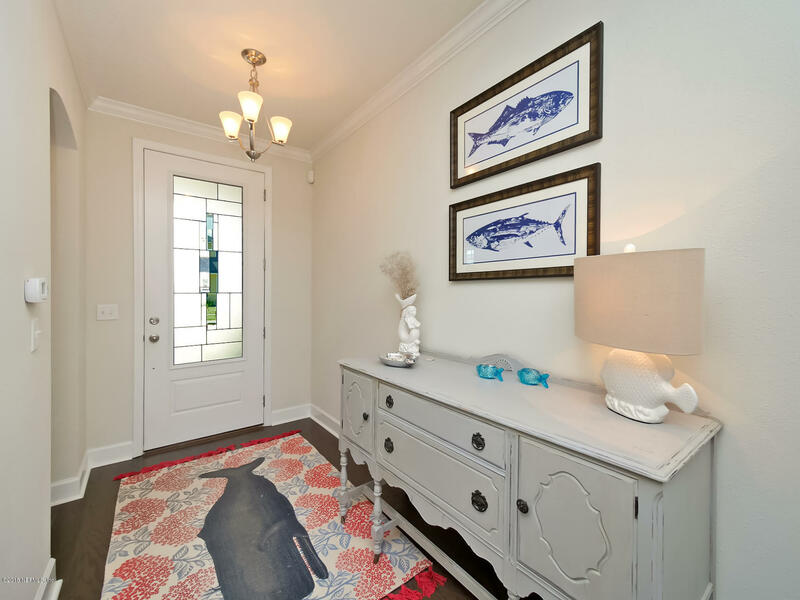 Designer touches incl: striking hardwood floors, granite, upgraded SS appls, glass tile backsplash & wrought iron balusters up the stairs. 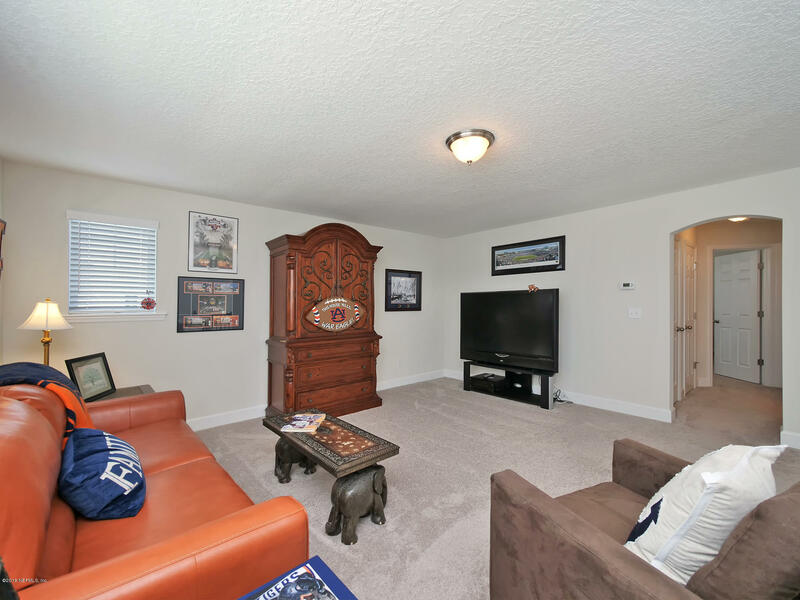 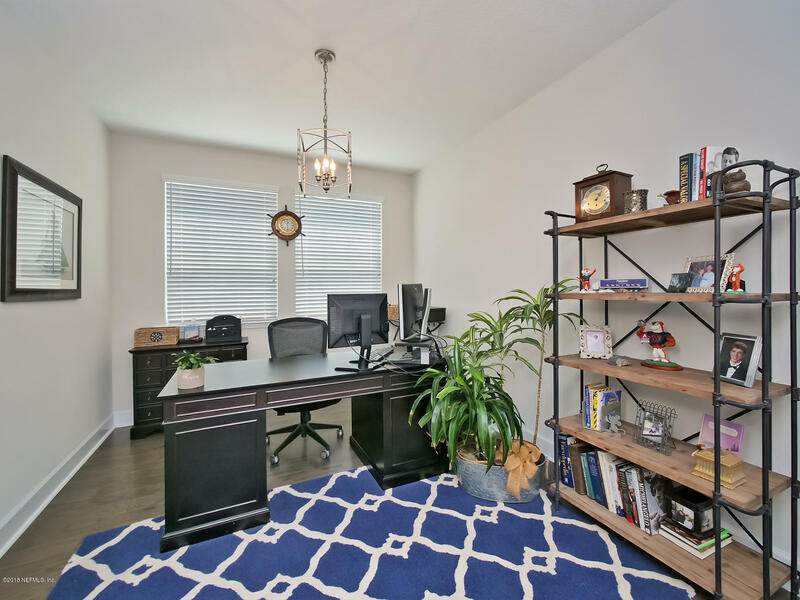 Den/office, Owners suite & a separate guest bedroom & full bath located downstairs. 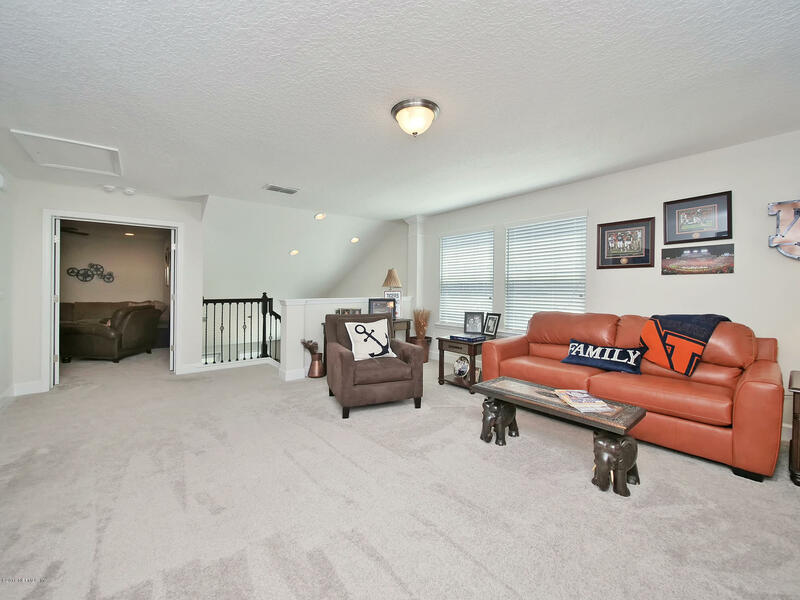 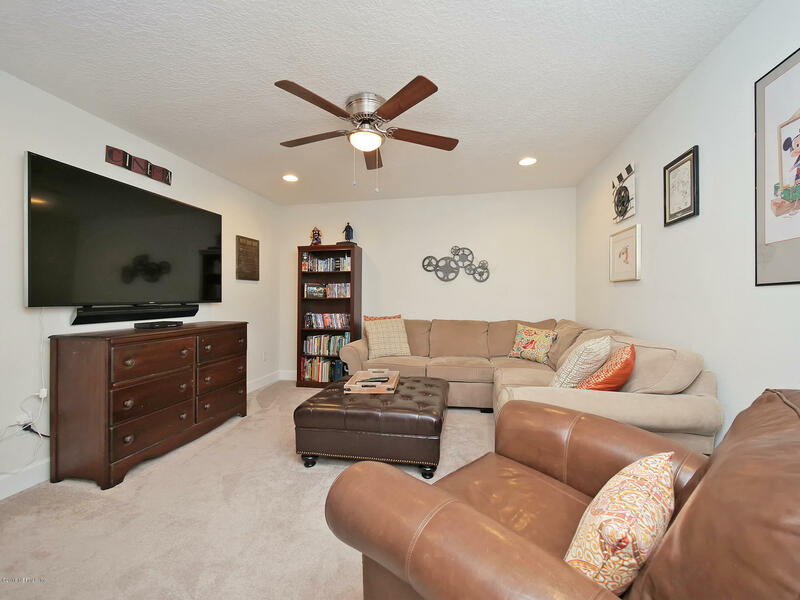 Upstairs, 2 bedrooms, full bath, plus large loft and a media/game room! 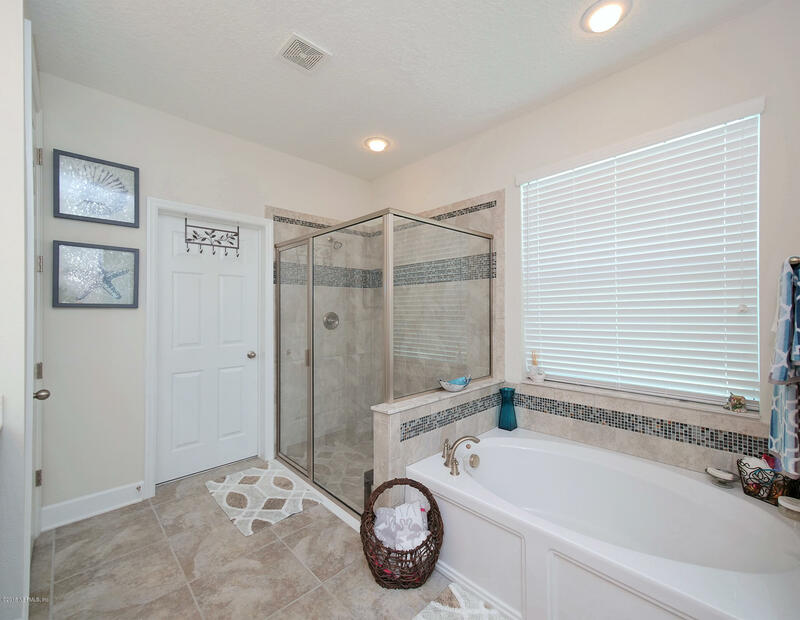 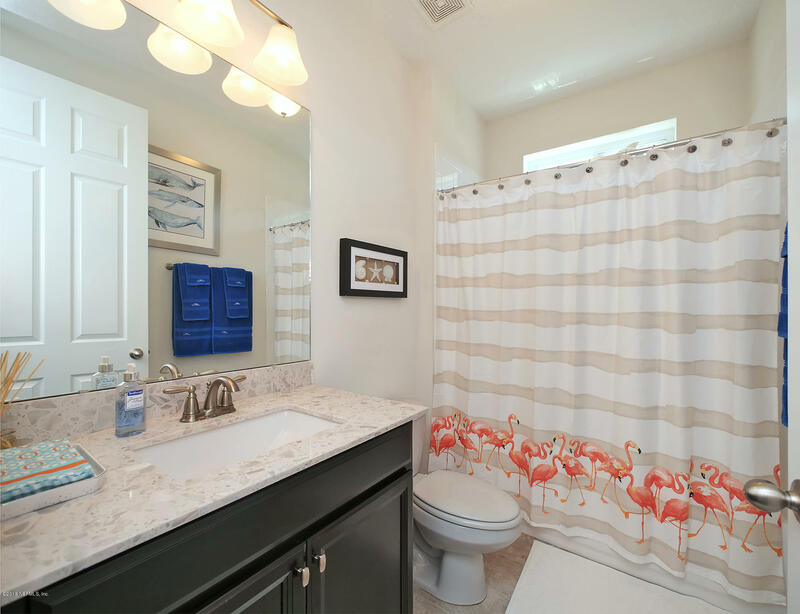 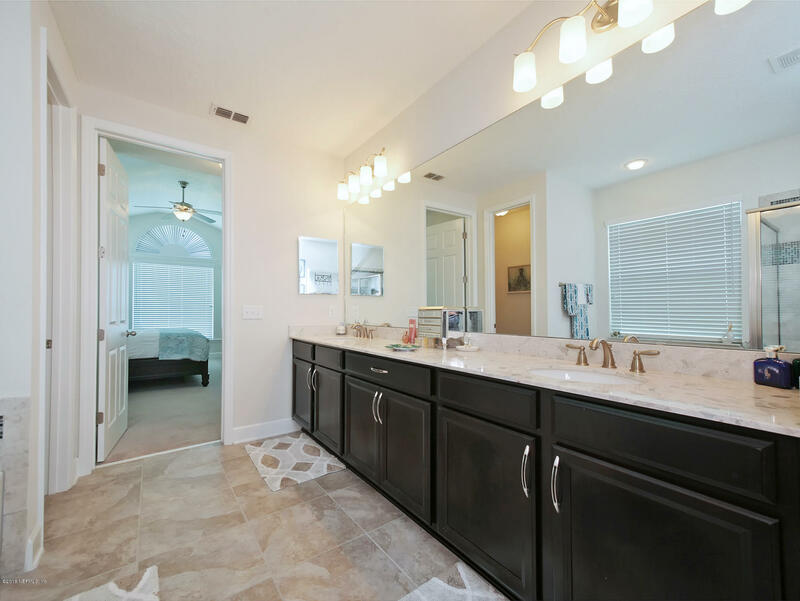 Roomy Owner's suite has big windows, garden tub & oversized shower with glass tile listello. 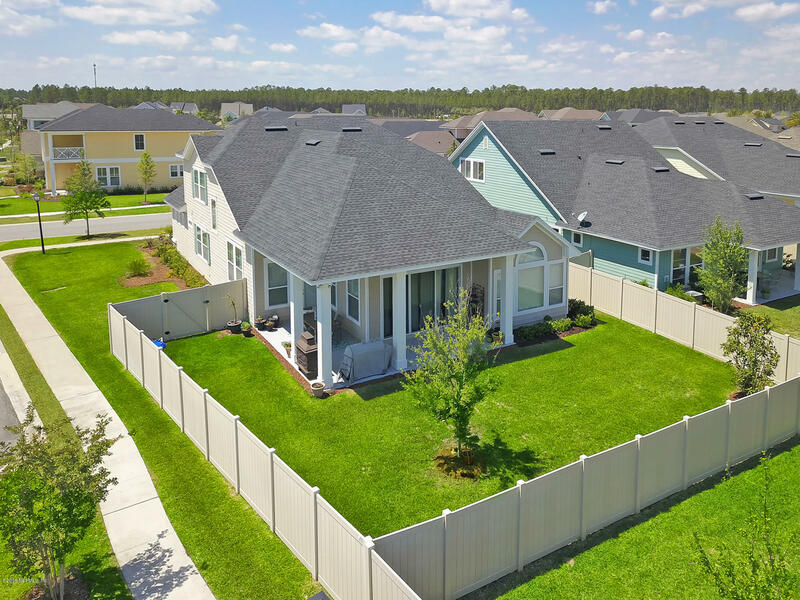 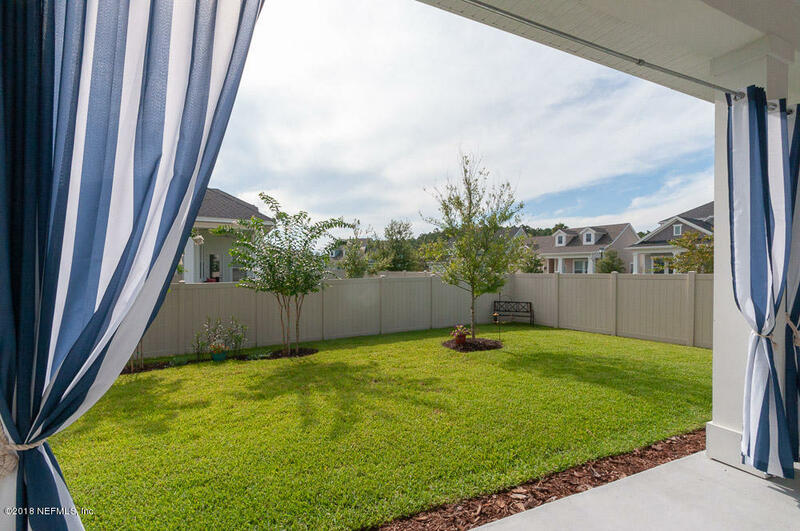 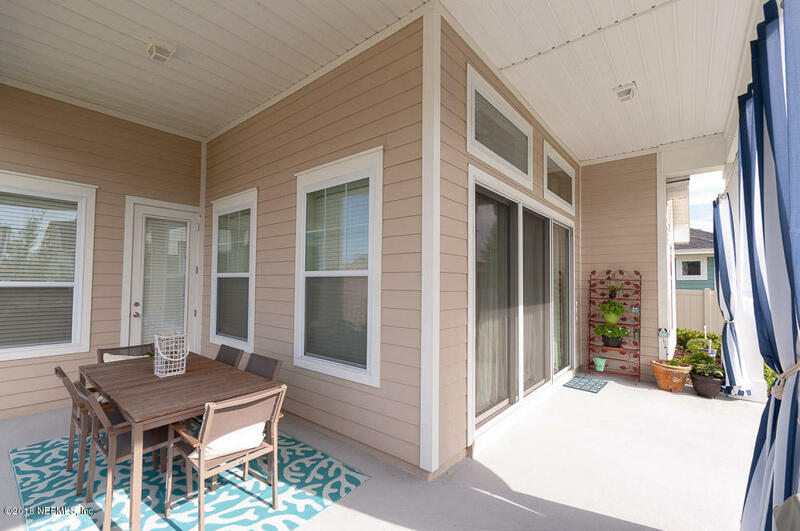 Triple sliders lead to the wraparound, covered porch & fenced yard. 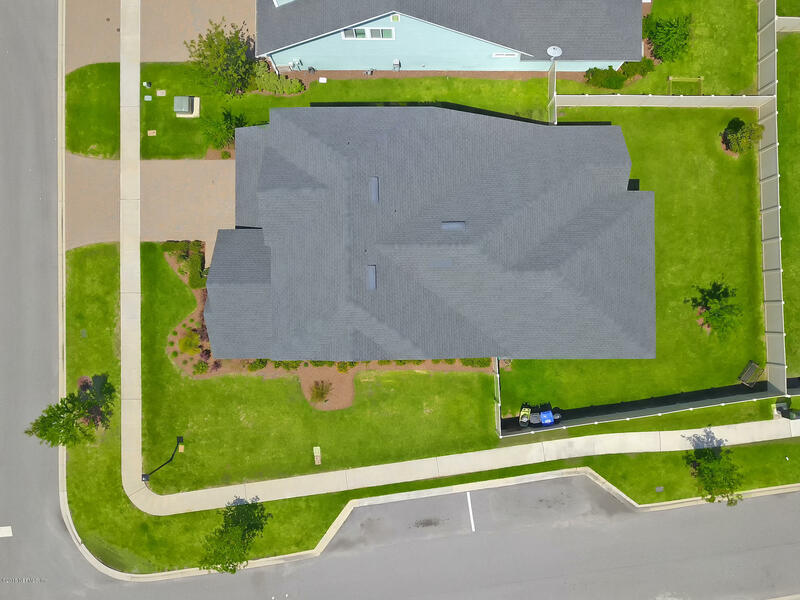 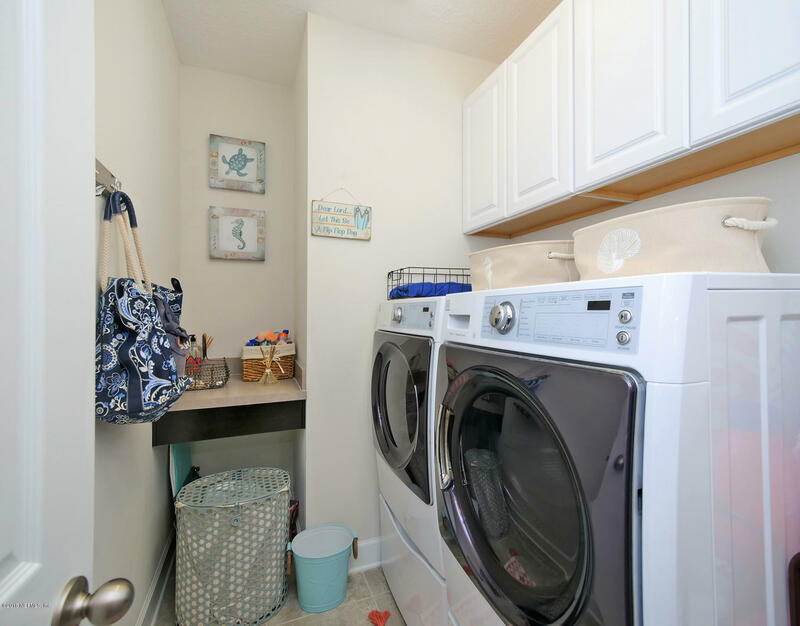 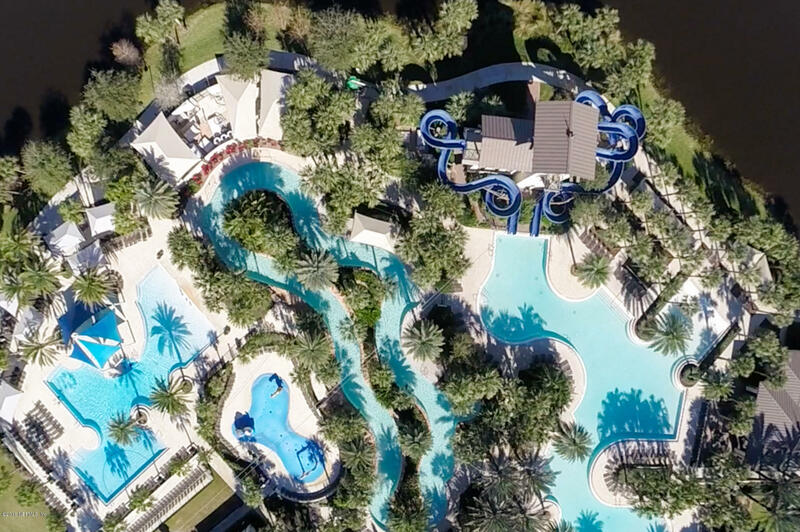 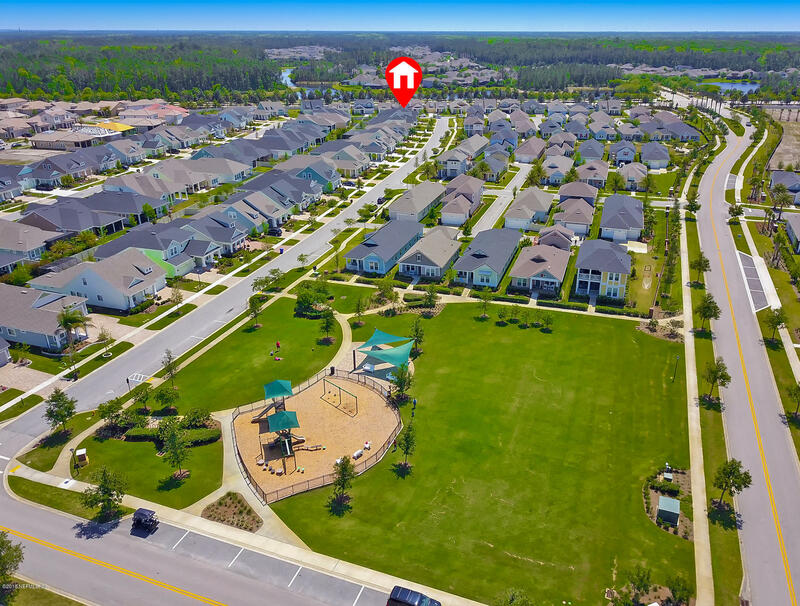 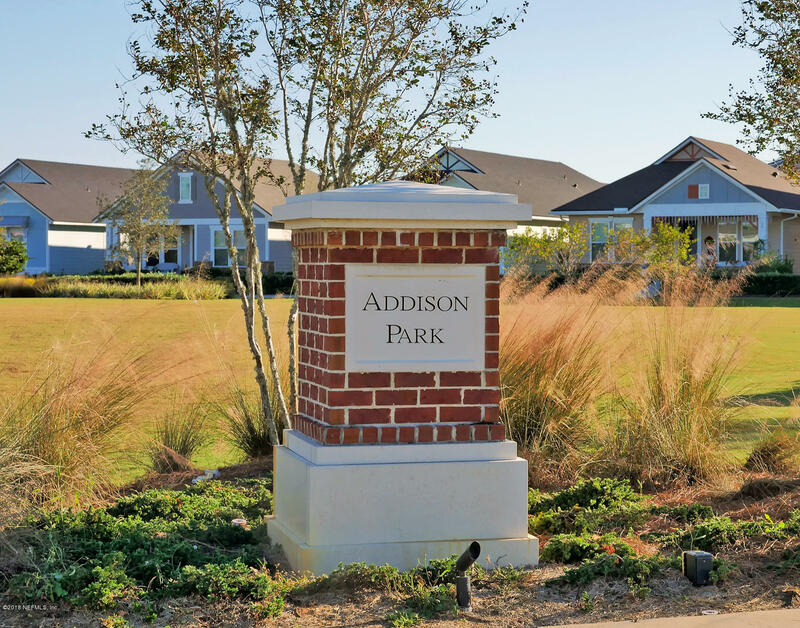 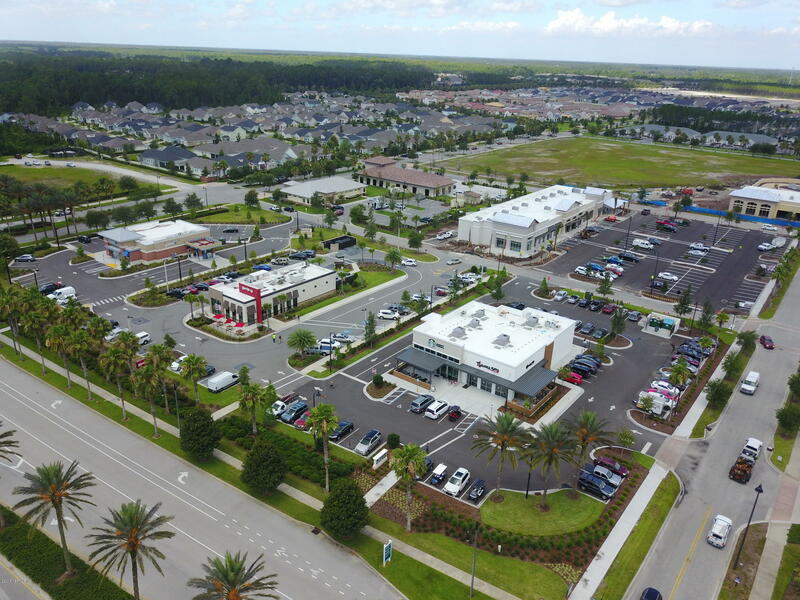 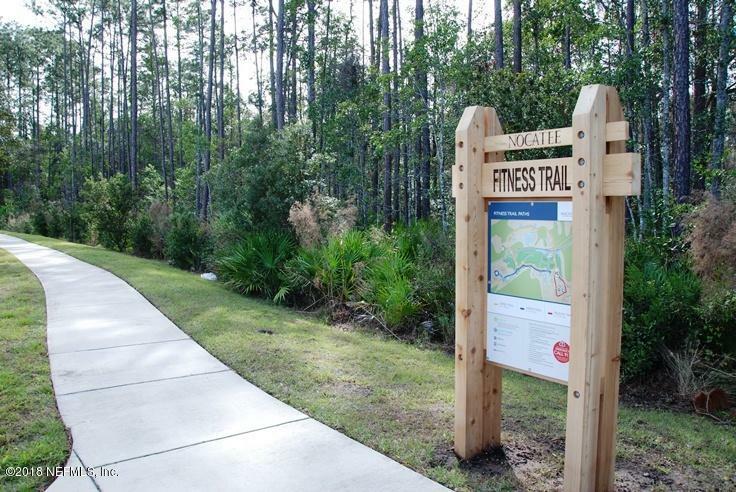 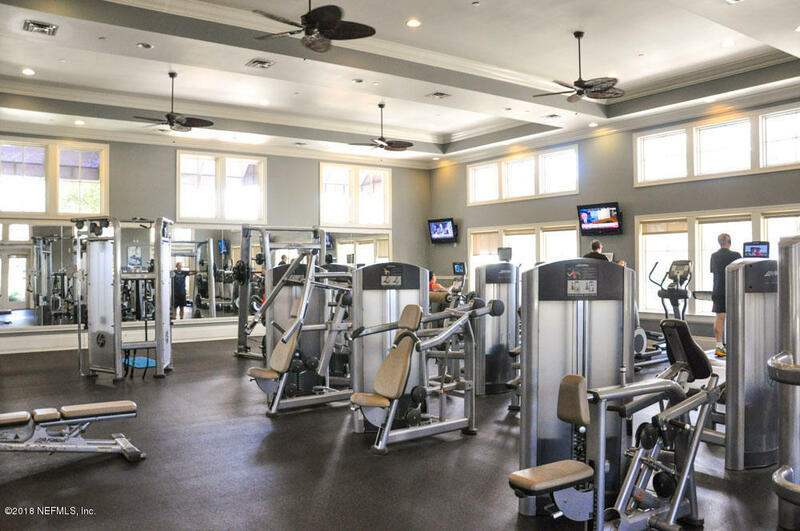 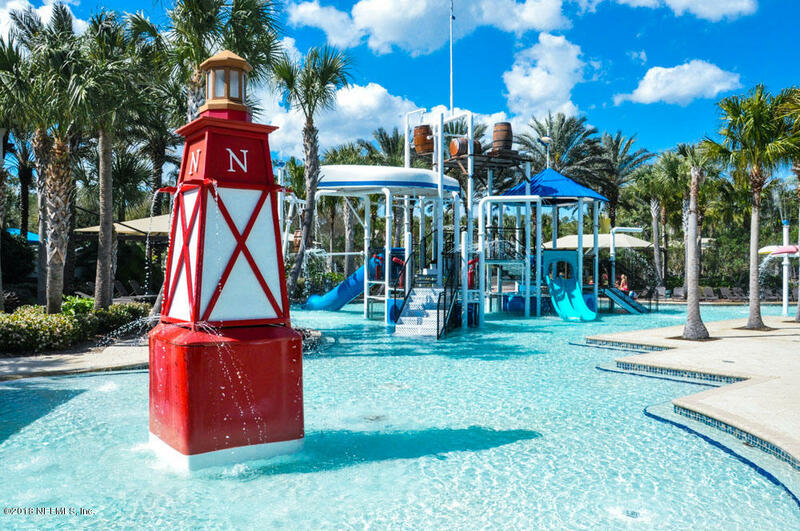 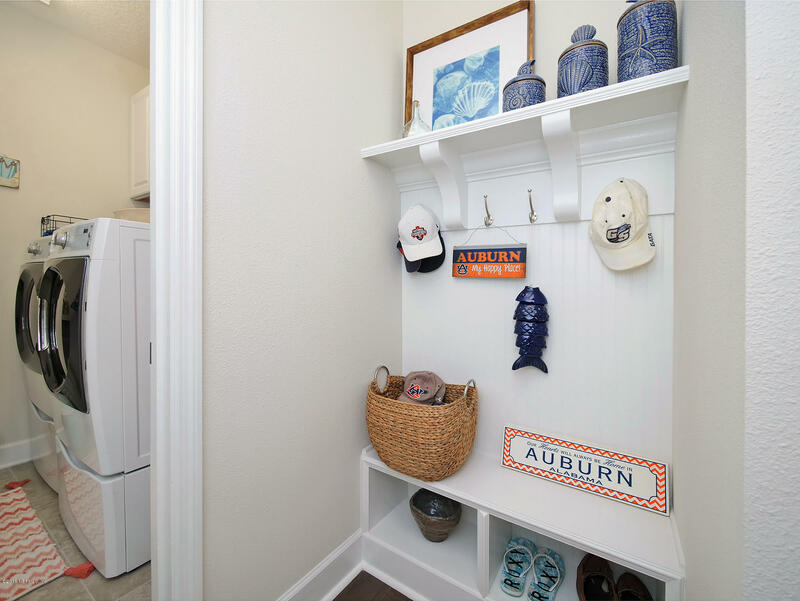 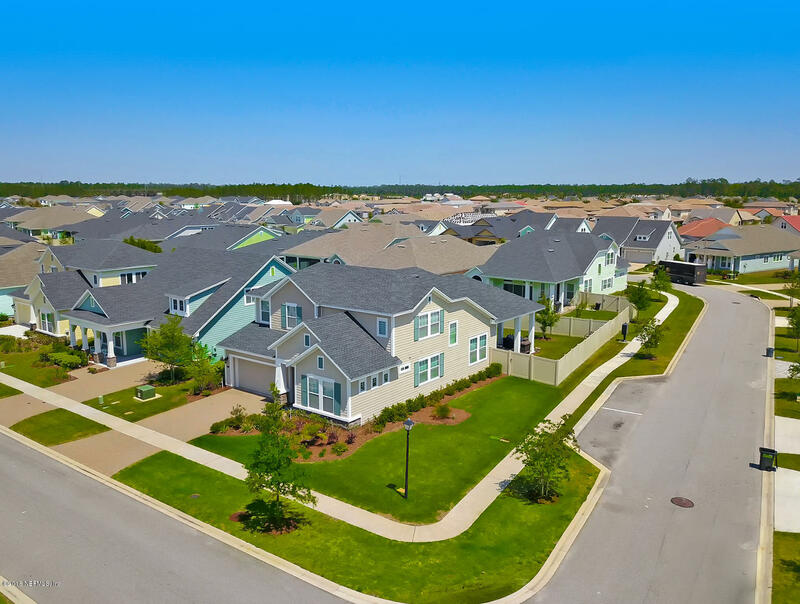 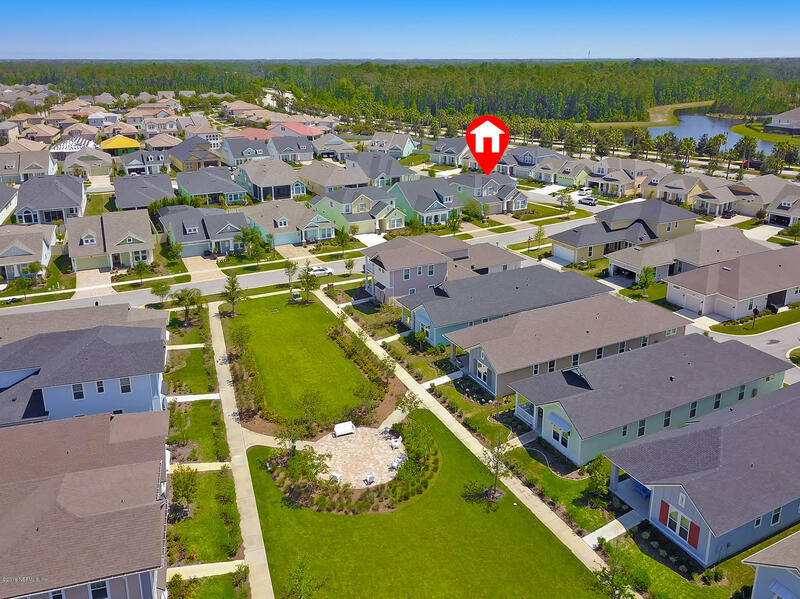 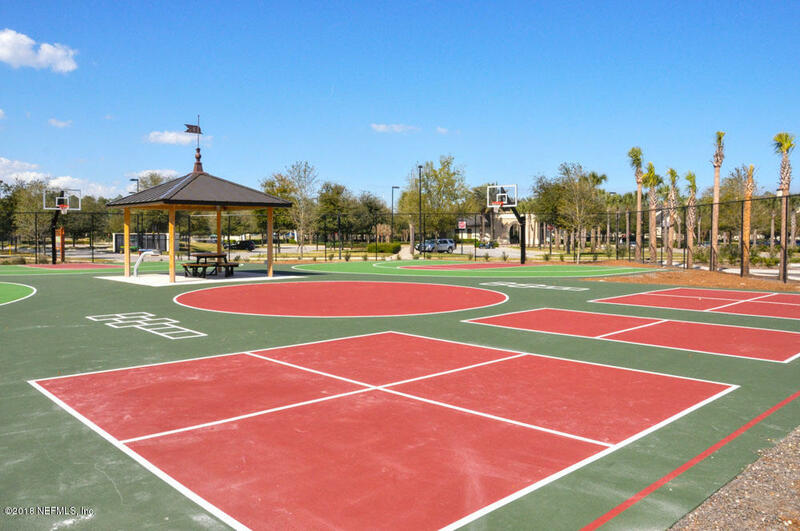 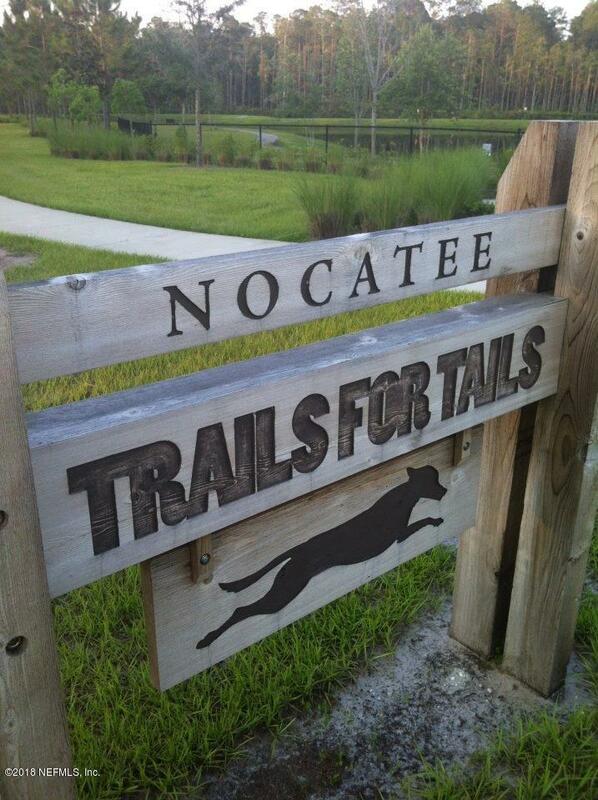 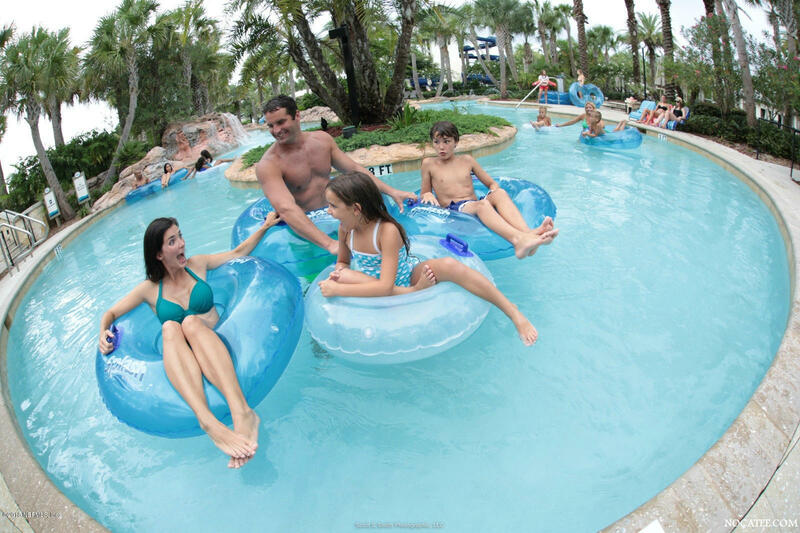 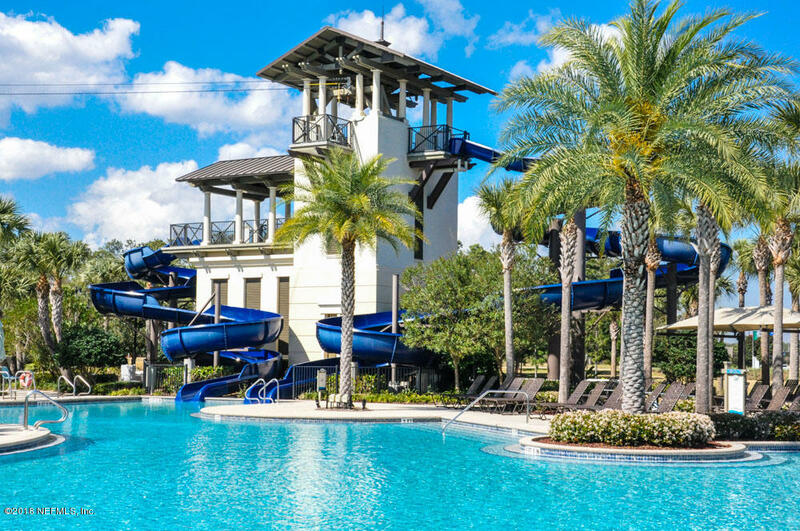 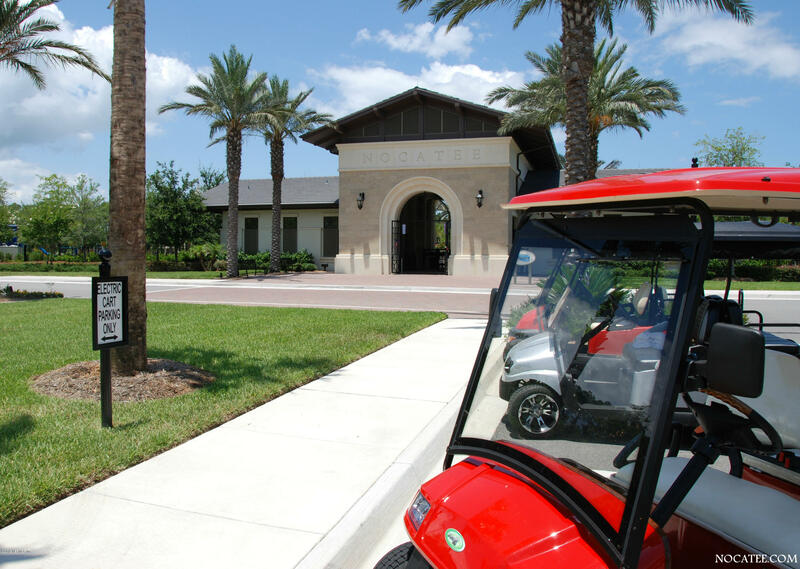 Shops, dining & Nocatee's exceptional amenities are just a quick walk, bike or golf cart ride away! 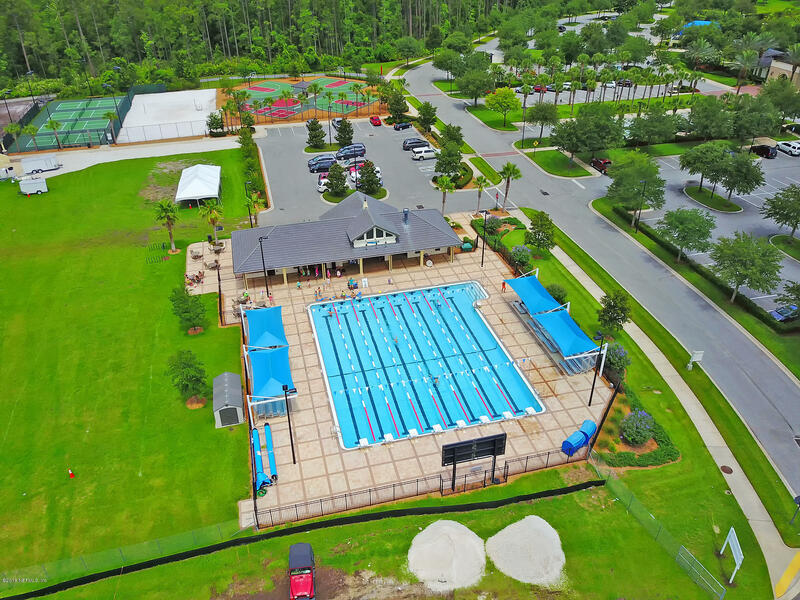 Zoned for new Palm Valley Academy Fall 2019. 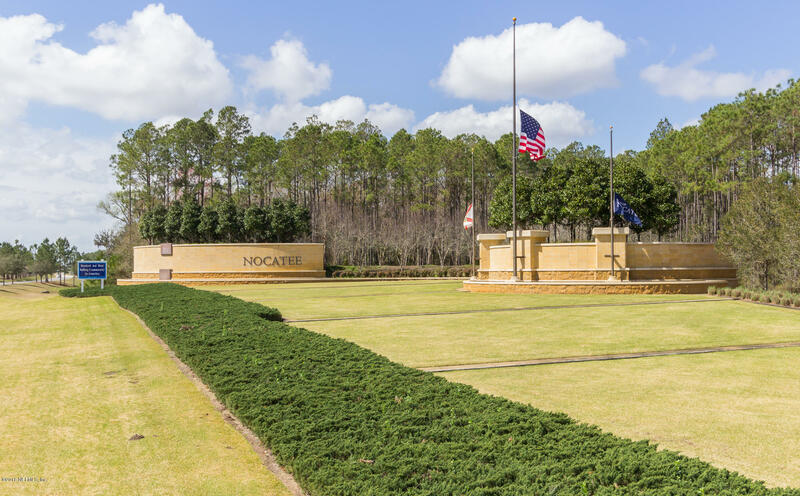 Directions: From Nocatee Pkwy, South on Crosswater, right on Nocatee Village Dr at stoplight. 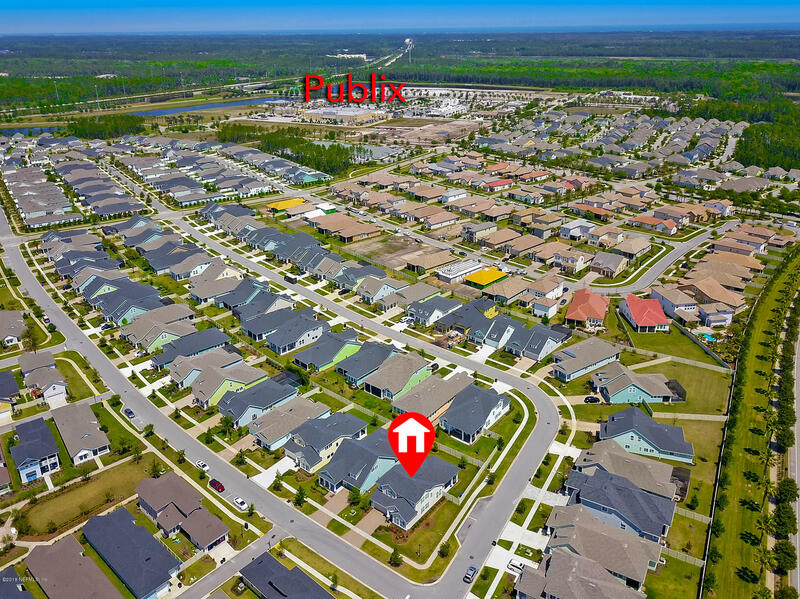 Go thru 4 way stop, left on Summer Mesa, pass park, home is located at corner on left.